So yes..i have jumped on the colossal bandwagon! I know i know..i have been late and how!! 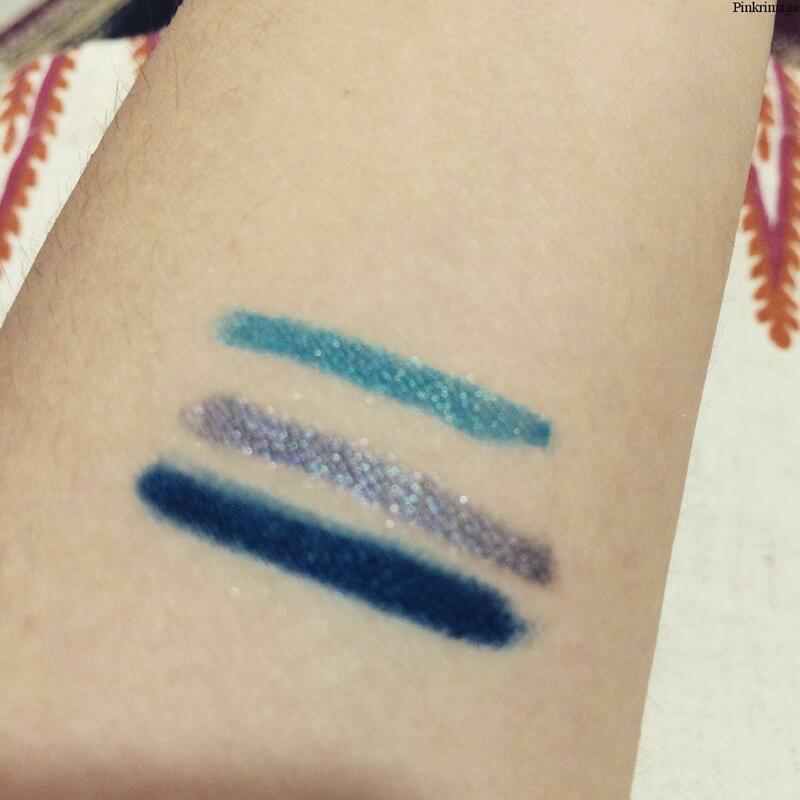 Maybelline recently launched three new shades in the colossal range: jewelled Jade, crushed emerald and smoked silver. Since a really sunny blue and silver doesn’t look that good on me, i picked up jewelled jade which is a gorgeous navy/emerald liner. 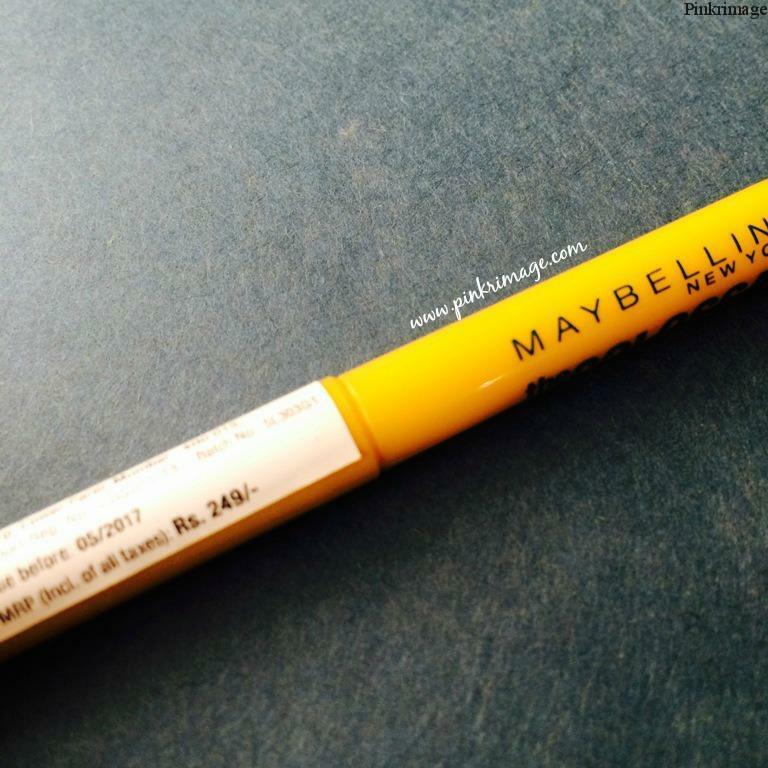 Maybelline New York Colossal Kohl in Jewelled Jade comes in a original yellow packaging. 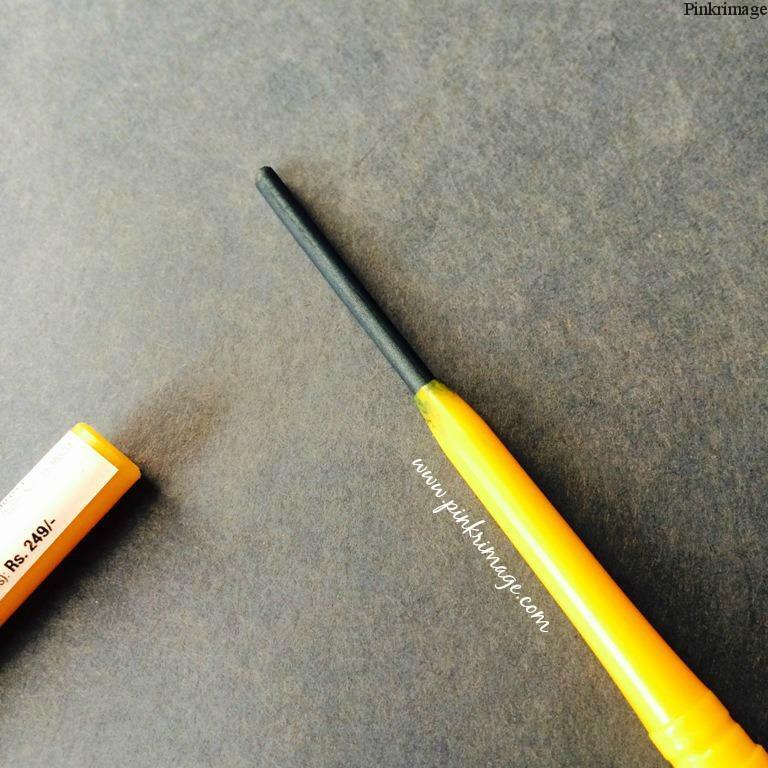 There is no outer packaging and you just get the pencil and no cover or something like that. 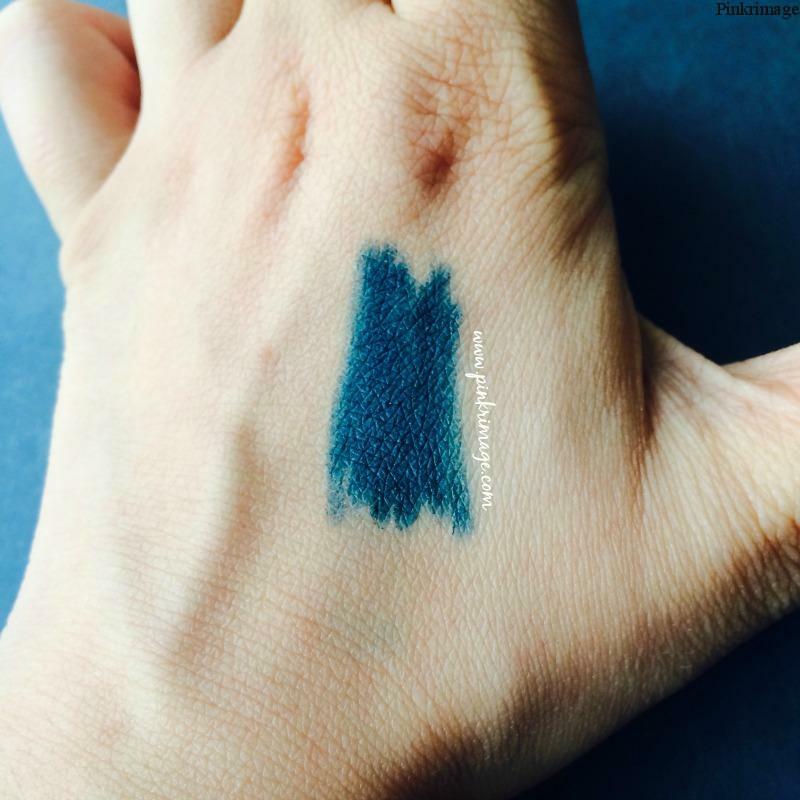 The shade is a deep matte jade (navy/emerald combination). 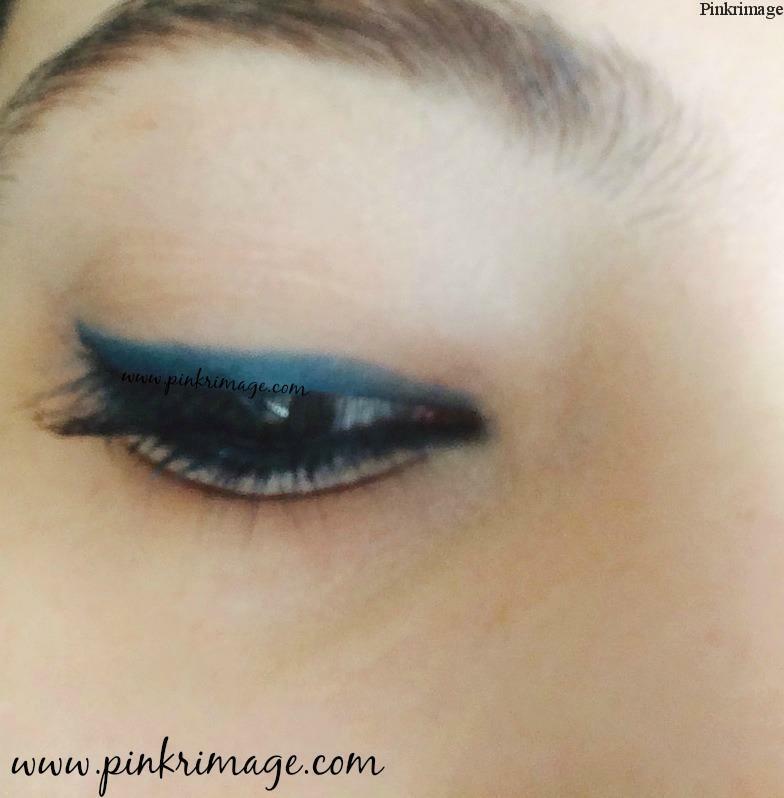 I have not tried the original Colossal Kajal so i cant comment on how this finish compares to the original one. In my opinion, the finish is not very creamy but no tugging either. The texture is a bit hard in my opinion. 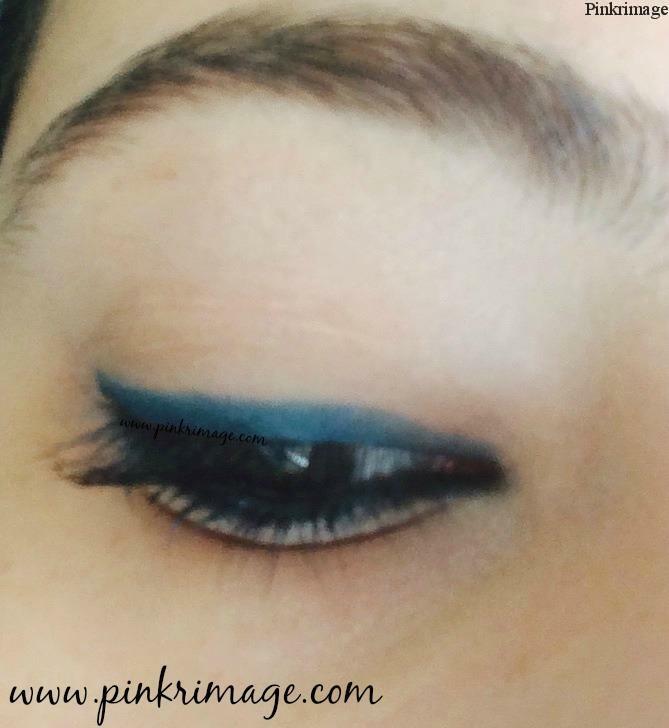 Or maybe i am spoilt after using 7-8 tubes of Lakme Forever Silk eyeliners! You have to swipe 2-3 times to get the desired colour and intensity. 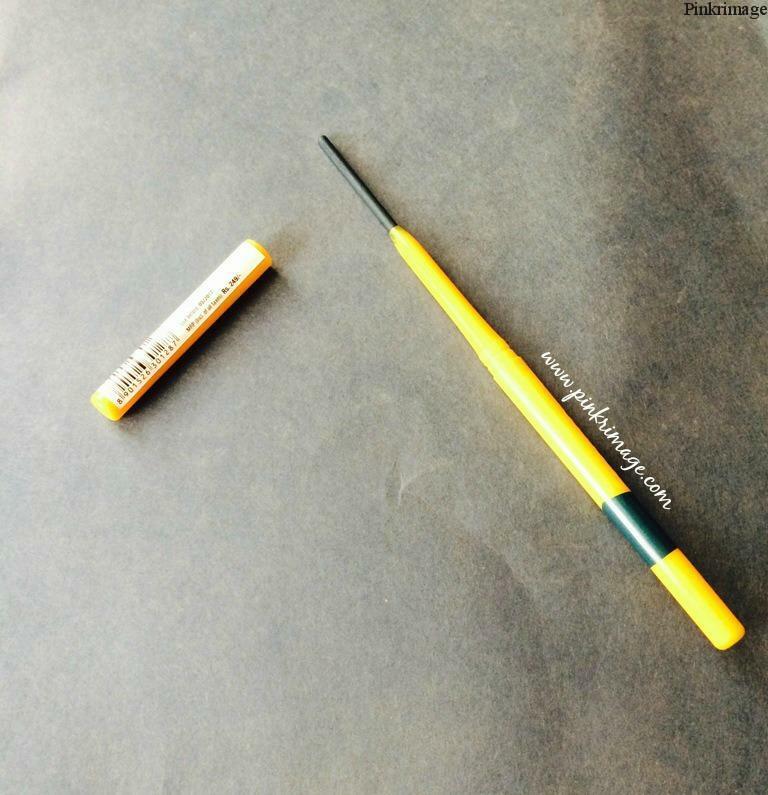 I used it on my waterline too. The staying power is 6-7 hours with mild fading on the waterline. 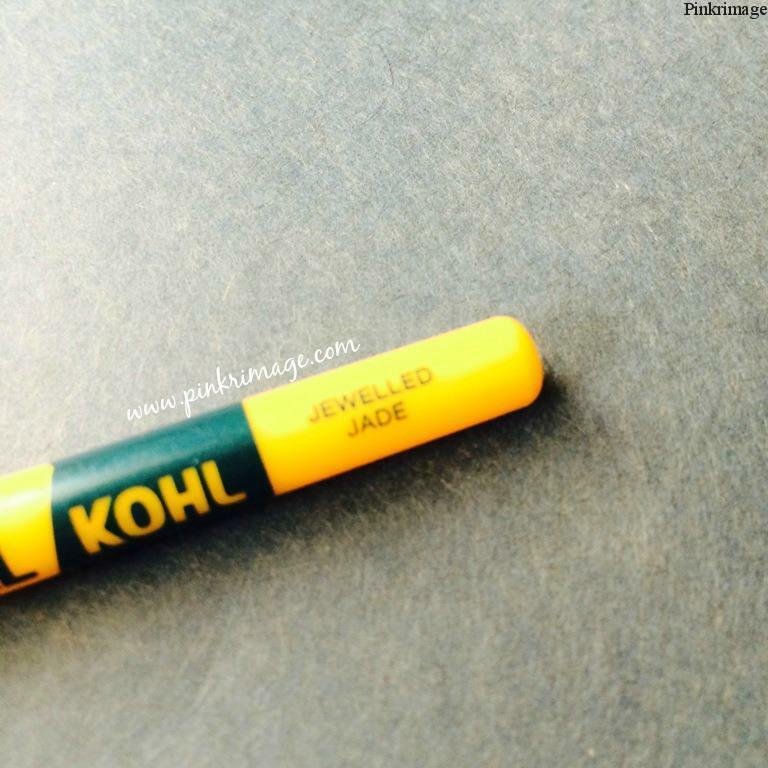 Overall, at the price of 249 INR, there is hardly anything about this kohl which i can complain about. The smoothness of the texture is not something i like but the colour is absolutely gorgeous to pass on. 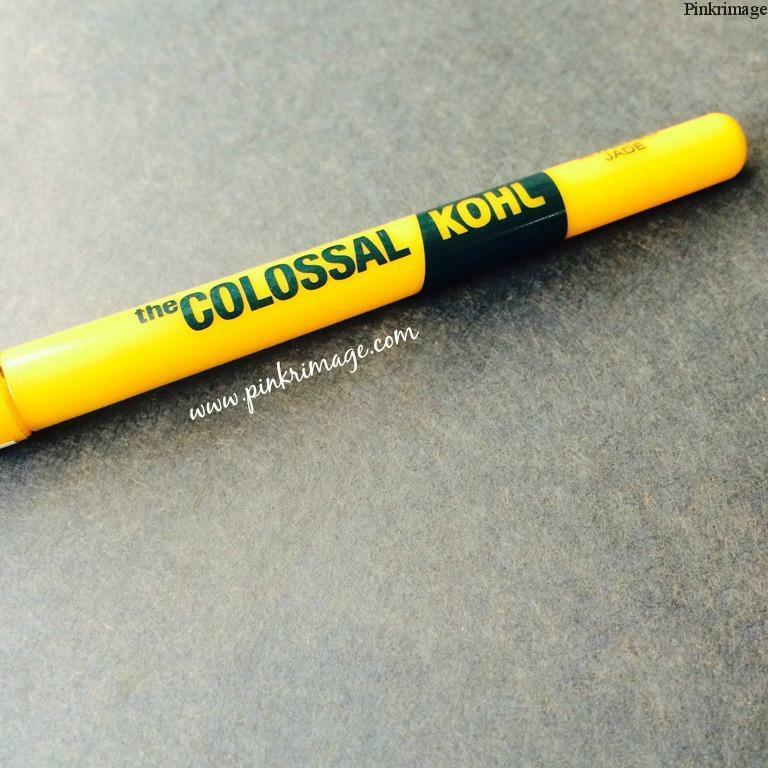 If you like colored eyeliners, these are the most affordable ones in the market and are good if not great in pigmentation and staying power department too! The color is so pretty! I’m gonna check these out asap. Nice shade dear.. I liked the Turquoise one so much.. I am sure these are gonna be my fav too 😛 Nee dto check them out asap!! Thanks Poo…you must check out these! Loved the colours and I am going for silver as I find it quite unique. 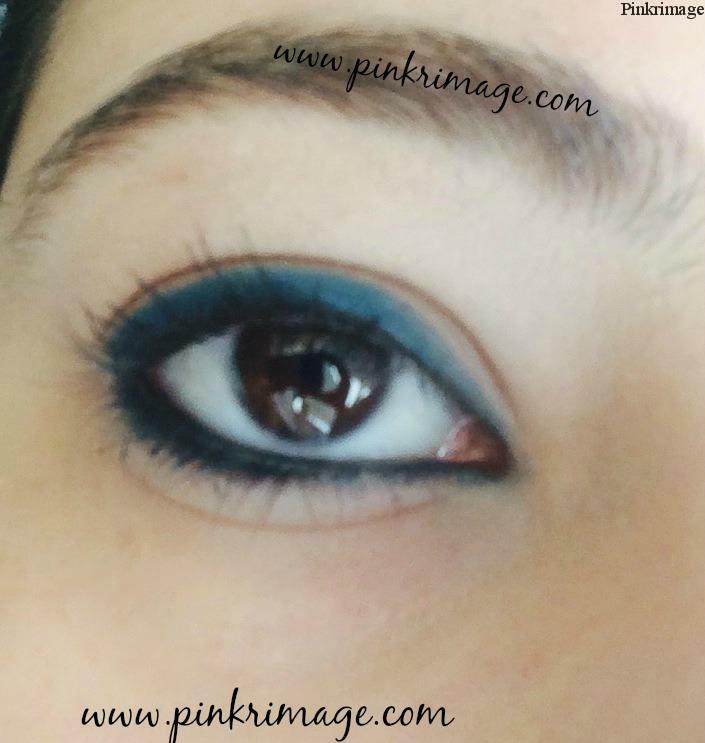 Loved the eotd.. Yes they are like butter on the eyes!!! this shade is sooo pretty, gonna get it ASAP!! Follow Pinkrimage On Social Media! Pinkrimage.com is a participant in the Amazon Services LLC Associates Program, an affiliate advertising program designed to provide a means for sites to earn advertising fees by advertising and linking to Amazon.com.